Pocketburgers.com: Rumor Mill: Is Ben & Jerry's Planning A "Schweddy Balls" Ice Cream? Rumor Mill: Is Ben & Jerry's Planning A "Schweddy Balls" Ice Cream? 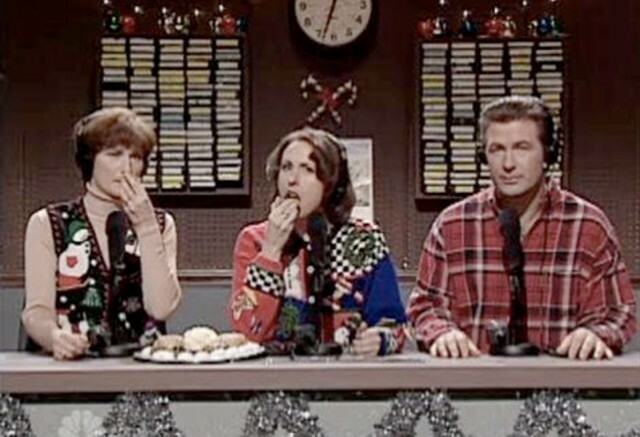 Today we catch wind of a strange and hilarious potential development from the Ben & Jerry's camp, who may or may not be developing a new "Schweddy Balls"-themed flavor in honor of the enduring SNL skit starring Ana Gasteyer, Molly Shannon, and Alec Baldwin in a career-defining role as Pete "Schweddy Balls" Schweddy. Gayster casually let this little bomb slip during an interview with New York 1: "It has this crazy, massive popularity that’s kind of had a half life since I left the show. Ben and Jerry's is coming out with a schweddy balls ice cream for Christmas this year.” Whoa! Bowery Boogie says the flavor will arrive sometime in September and run through Christmas, but a Ben & Jerry's rep we spoke to would neither confirm nor deny the move, explaining "we like all of our new flavors to have an element of surprise."